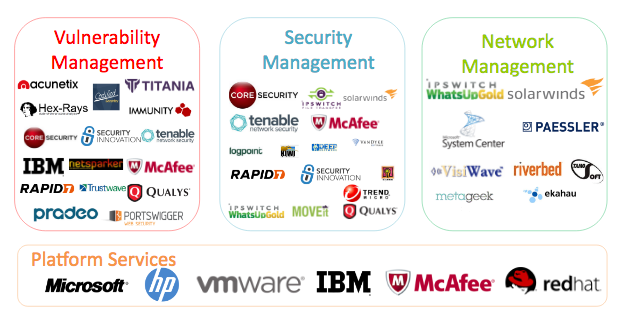 The initial mission of E-SPIN was focused on Enterprise Security Professional on Information and Network to deliver comprehensive range of IT security solutions and related services. When the enterprise customer base grew, so did E-SPIN's product line. E-SPIN eventually emerged to become Enterprise Solution Professional on Information and Network by delivering more comprehensive range of enterprise ICT Solutions (hardware, software and service), technology products distribution and international trade, IT Shared Services and Outsourcing (SSO/ITO) services to serve the marketplace. 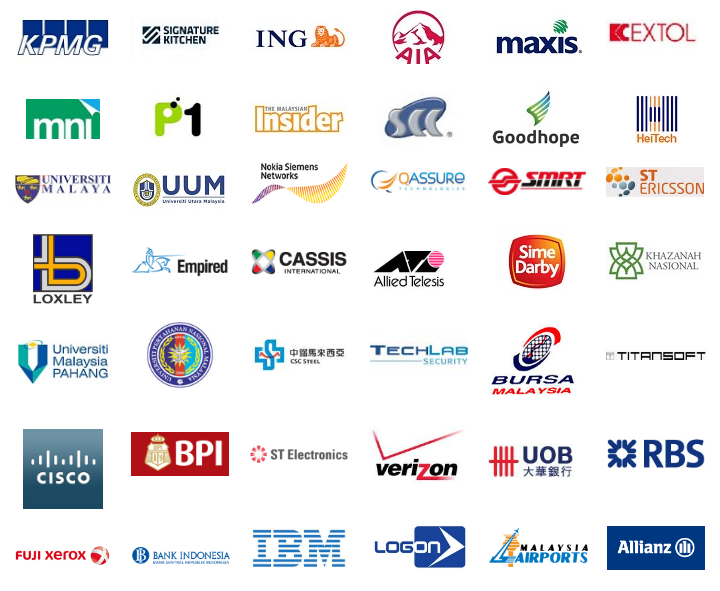 Since 2008, E-SPIN has actively expanded the business to oversea with focus solutions represented via strategic alliance and resellers channel of distribution and the company has clients and business from all across the regions from South East Asia (SEA), Great China Region (GRC), South Asia, Middle East, Australia/Oceania countries, and Europe/America. Today, E-SPIN offerings are poised for even greater growth to obtain continues support by our customers and positive word-of-mouth. The company's focus mainly on delivering end-to-end value adding solutions to our partners, enterprise, government and military customers and act as enterprise one stop solutions center. Established in 2005, E-SPIN is a private company which stands for Enterprise Solutions Professional on Information and Network that operates as a regional centre in South East Asia (SEA) from Malaysia/Singapore/Indonesia, Great China Region (GRC) from Hong Kong/China and perform international trade in nearby conutries. E-SPIN offer a unique leading approach to Enterprise ICT solutions, distribution and international trade, shared services outsourcing (SSO) with comprehensive breed solutions from respective technology partners combined with experience in house solutions consulting, network and systems integration, distribution and international trade, portal development and application integration, product training, skill certification, project management, maintenance support and outsourcing management services to deliver end-to-end value-added solutions for our partners, enterprise, government and military customers. To be leading enterprise solution distribution and technology service providers in deliver enabling and value-added solutions for our customer to achieve business technology transformation and to remain competitiveness in their respective marketplace. To deliver end-to-end value-added solutions in the Information Communication Technology (ICT) Solutions in combination of our competencies in Consultancy, Distribution, Integration, and Maintenance Support. E-SPIN Group of Companies (E-SPIN) is engaged in providing enterprise technology product value added regional distribution and international trading business. The Company's business is structured around three operating groups, which together consists of shared backoffice, marketing, sales and services (MSS), management group serving in industries and region E-SPIN do business globally. The Company's segment includes Enterprise/Corporation, Government (state and federal, special government agencies, government linked corporation GLC), Resellers. 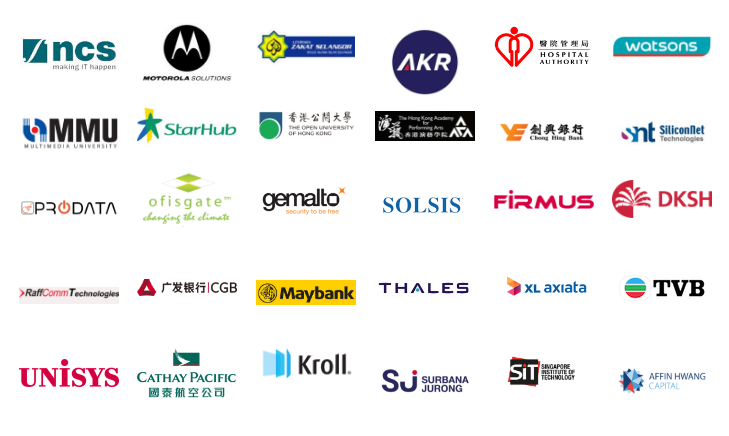 In 2008, E-SPIN started export businesses, 2013 incorporate Singapore, Indonesia, Hong Kong offices. Follow with 2014 Thailand office, 2015 China and Philippines office. E-SPIN Group of Companies is a multinational enterprise ICT value added solution distribution and international trading company. Its incorporated headquarter are in Kuala Lumpur, Malaysia (for E-SPIN Sdn Bhd). As of 2015, the company serving clients in more than 11 countries. Some of the local office and business is further local incorporate to extend the local business support and commitment. E-SPIN International Pte Ltd incorporated headquarter in Singapore, provide international trade and running Southeast Asia countries business (except Malaysia). E-SPIN International Limited incorporated headquarter in Hong Kong, provide international trade and running Greater China Region countries business. With a worldwide presence, E-SPIN continues to build on our member firms’ successes thanks to our clear vision, maintained values, our valuable customer, channel partners and supplier. Each national E-SPIN firm is an independent legal entity and is a member of E-SPIN Group of Companies. 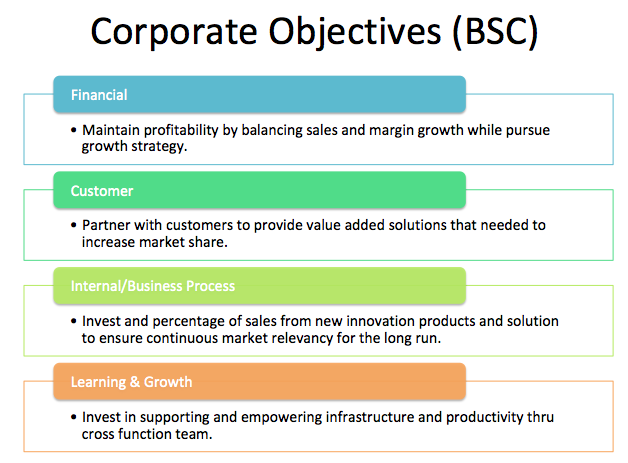 This structure in which the E-SPIN Group provides support services only to the member firms. The member firms provide the services to client. Personnel who work in the Group level position always carry “Group” in front of their position title and had group leadership role, duties and responsibilities to differentiate national member firms position title. 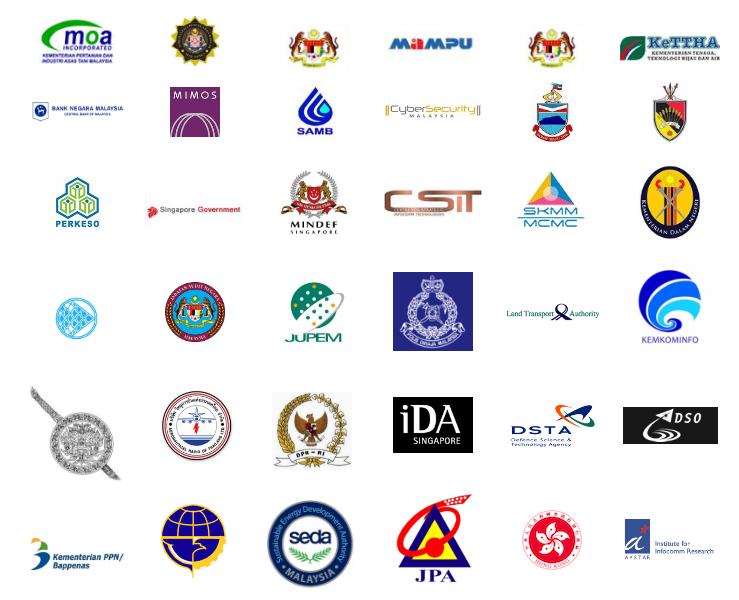 Since 2005, E-SPIN has successfully worked with organizations around South East Asia from regionally then now globally in every industry, in public and private sectors, and every size, from start up to multi-national corporation (MNCs). Our customers consists of banks and other financial services firms; manufacturers; trading and service providers; media, entertainment and broadcasters; telecommunications and data center providers; transportation and logistics companies; oil, gas, chemical and utilities companies; pharmaceuticals, medicine, healthcare and hospitals; educational institutions; technology value added resellers (VARs), system integrators (SIs), independent software vendors (ISVs) and IT outsourcing (ITO) providers; public sector agencies from federal to state government and military agencies on various E-SPIN solutions and services portfolios. 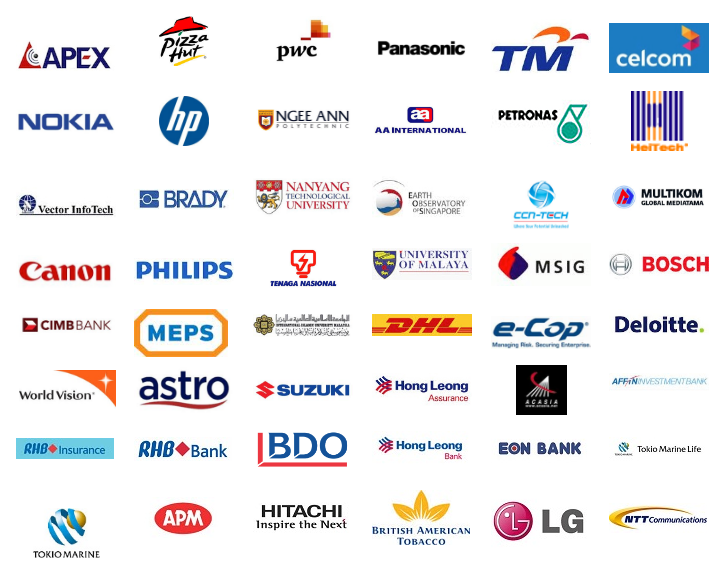 Below are sampling of our clients and customers from different industry and sector across the region. We keep your system safe and secure. Technology is a tool that empowers and enable business for competitive advantages - from seeking business productivity gain, containing cost by streamline process and automation, consolidating and virtualizing infrastructure and facilities, provide continuous availability, vulnerability and security management to managed service and total outsourcing. What distinguishes our technology solutions is the depth of subject-matter knowledge and operational expertise embedded into the application of the technology to problem solving. We know the technologies and most importantly, we know how to implement the correct solution (in combination of hardware, software and services) enabling partners and customers can save costs and time, improve data access, increase security and fulfilled user needs within each client's unique environment. E-SPIN understands that technology must be evaluated not only for its capabilities to perform but also for on how well it works with existing processes and user needs. Our IT Solutions consultants and technology professionals can adapt and integrate technology solutions into existing processes because we have the expertise in client issues and work environments to achieve and enhanced performances, save time and cost which meet and fulfilled our partners and clients expectations. We have invested in IT solutions delivery infrastructure, process, procedure, personnel, products and tools to offer our partners and clients scale, flexibility and security. 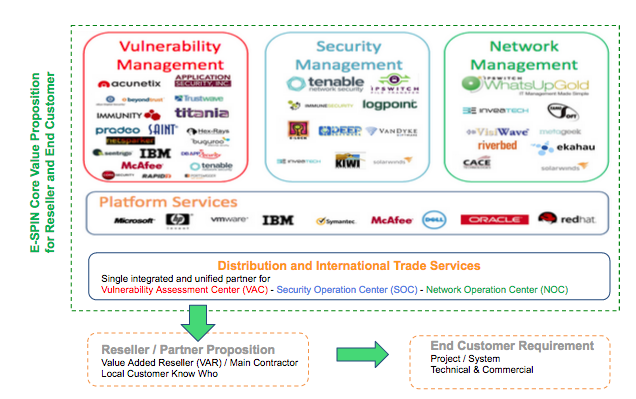 We perform value integrator roles and duties to meet all supplier, reseller and customer partner requirements. E-SPIN Core Value Proposition for Reseller and Customer always on the core solutions portfolio we represented (from world best technology supplier). We make the hassle free solution simplified package solution for local region reseller and customer partner. 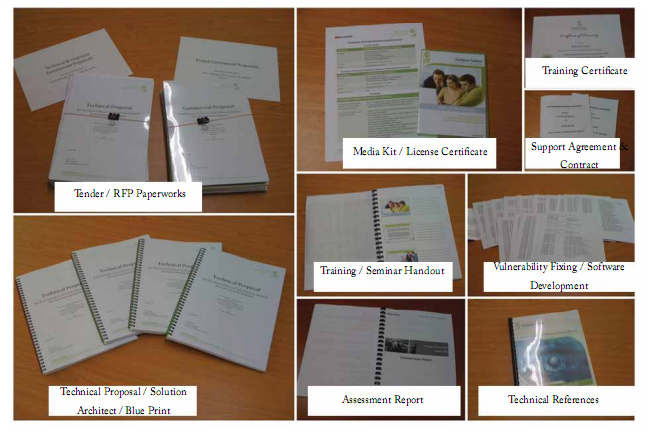 For reseller partner, whether in the role as value added reseller (VAR), main contractor, independent software developer (ISV) or system integrator (SI), you will found easy to bundle E-SPIN represented solution package for your end customer needs and requirements, without any business quota or upfront commitment. E-SPIN respect your core business and value proposition bring along into the final offering to your end customer. Feel free to contact our channel representative to understand and work with you on your final end to end project requirement. For End Customer, E-SPIN is always seek first to understand your business/technical requirement, then we matching the right package solution for your requirements, whether in the value bundled package solution, fulfilling thru your existing trusted reseller partner or our recommended reseller partner (if necessary). All the package solution introducing by E-SPIN as long as back-to-back supply from E-SPIN to Reseller partner, End Customer may worry free about the Product End To End Support for the entire product/solution package lifecycle within your enterprise environment. E-SPIN's commit to our partners and customers long terms business and operation success by strategically invested on the physical business center, service center, helpdesk and call center, training center, project management office, network operation center (NOC), security operation center (SOC), vulnerability assessment center (VAC) facilities and the rest of related core competencies for us to perform value-adding end to end services provisioning, from solutions consultancy, requirement understanding, project scoping, implementation, training and maintenance support. Since 2008, E-SPIN has actively expanded the business to oversea with focus solutions represented via strategic alliance and channel of distribution. Today, E-SPIN maintain their clients base across the region on various which represented E-SPIN's value added products and services and also implement a strategic partnership on the vendor, resellers and end customers. Below is the quick overview of E-SPIN's Products/Brands Domain and related technology services whereby we actively provide distributions and performs international trade, supply, implementation and also perform active maintenance. E-SPIN System Solutions offer quality product and service to satisfy customer needs. E-SPIN's objective is to understand clearly our customer's and partner's requirements to deliver solutions, products and services consistently that meet or exceed their expectations. This defines our perspective on Total Quality Management & Complete Customer Satisfaction. E-SPIN is committed to continuous on quality improvement process discipline through the linkage of customer feedback, manufacturing and supply chain product quality control, internal engineering process and service operation improvements, with documented ties to Customer Satisfaction Reporting System (CSR's) with root that cause analysis and resolution of problems. We use detailed Customer Service Report (CSR's) to track on any and all issues that arise during manufacturing / supply chain, installation or service delivery in the field. We use project management processes for delivery engineering services works and follow standard work instruction to insure root cause analysis of all problems. This quality assurance process discipline insures that problems are fully resolved and will not be repeated. The key to success in this area is documented quality assurance management processes. E-SPIN's primary regional operation and engineering facility in Petaling Jaya, Selangor, Malaysia follow ITIL and ISO 9001:2008 practice required for compliance. In addition, this facility maintains global network operation center (NOC), security operation centre (SOC) and vulnerability assessment center (VAC) and helpdesk support center facilities for customers maintenance. The facilities are backed by the world best of the class industry standard technology and providers. 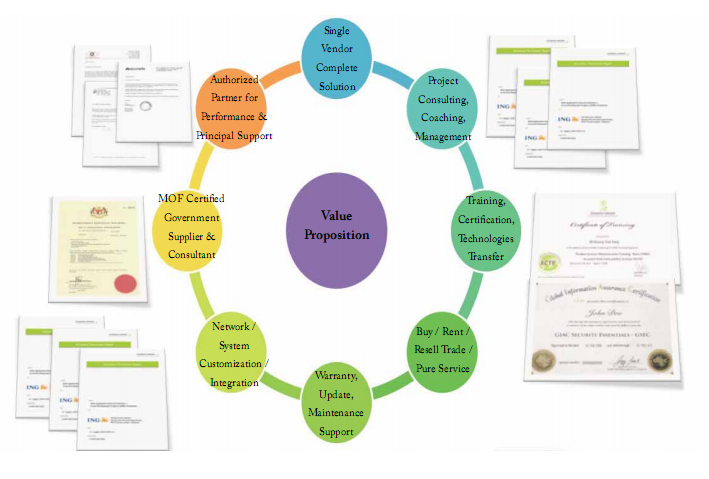 Our secondary core facility which spread across the region, provide completed extensive business support services, follow the same ITIL and ISO 9001 practice required for compliance. These disciplines, we combined with our own "closed loop" Customer Satisfaction Reporting System to insure that if there is any problem which occur are fully addressed and are resolved in a manner that they do not repeat themselves in the future. E-SPIN Goal: TQMS that Delivers Complete Customer Satisfaction! In E-SPIN, we believe in partnership. As the vital link in the technology value chain, we connect manufacturer brand and product solutions with their potential buyers through our regional reseller network and resources. We offer more than just distribution and international trade - we provide value added in the area of logistics, marketing and PR programs, training and range of professional services from technical architect, consultancy, deployment, integration, solutions development to post sale technical maintenance support and managed services so that you can mix with your business and technical requirements quickly and efficiently. For resellers, E-SPIN offers the most comprehensive range of innovative and market leading products, unrivaled support packages and tailored services to suit your business needs. Our simple approach also means that you get the right products and services tailored to meet your unique requirements and those of your customers. If you are in the business to "resell" product to your customer, whether you are computer dealers, corporate/enterprise value added resellers (VAR), independent software vendors (ISV), network or system integrators (SI), application or managed service provider (ASP/MSP), software vendors, hardware vendors, sub distributor, corporate or government procurement or sourcing agents, outsource service providers, we are your ideal supplier partners who is interest to enable our reseller partners on the solutions and product business we are represented. If you look for only product trading - simple product buy and resell trading, we are here for you. If you are looking for supplier who can provide end to end service or who can outsource certain portion of the project, we are here for you too. E-SPIN unique value proposition is to enable our reseller partner doing the business in end to end basis, you can always mix and match the service require - trading, installation, consultancy, training, maintenance support, project management, system integration, managed outsourcing. Please feel free to contact us for any potential business we can pursue and work together. Thank you for your interest in partnering with E-SPIN to achieve your channel of distribution and marketing goals. E-SPIN is on the technology product distribution and trade business, we are focus on build up trusted reseller channels to distribute and trade represented vendor products. We are focus on develop and keep delivering distributor value for our vendor and act as your central procurement and regional distribution. We help vendor to simplify the channel recruitment and procurement on the region we represented. The world have change, reseller now day prefer to work with one stop value added distribution partner who can help them simplify their procurement and sourcing requirement, especially on the specialty professional service - from consultancy, requirement seizing and project scoping, solution architect and proposing, presentation, Proof-of-Concept (POC) assistance, training, 8x5/24x7 technical phone/email/remote/onsite support, Project End to End Outsourcing / Subcontracting and large deal locking, special commercial arrangement and protection support that go beyond single vendor can be addressed. No to mention, we are your local first and second level of local representative, pre-sales, selling engagement and post technical support agent to ensure your product will be take care by our trained product engineers, specialists, professionals, consultants to ensure fastest response time for lead opportunities, local represent and support assurance for the large deal negotiation and competing with the competitive vendor product lines. We are welcome vendor in all type contact us to strategize how your product can be leverage our distribution channel to deliver profitable return. If you are serious about your business and really look for the company serious about represent yours for the lifelong that lasting, let contact us to work out profitable business together - your product plus our distribution channel and value added services. Contact us today and let discuss about your specific needs and sort out the business together. We operate under international standard NDA as a business standard, but will gladly adhere to your NDA agreement, if desired, as long as it is signing for the win win business dealing basis. We invite prospective vendor/manufacturer/developer partners to call or email us. We look forward to partnering with you!